Most professionals agree, there is no lower age limit on massage therapy. Even babies benefit from the occasional gentle rub-down, working growing muscles. Many health problems can be caused by or made worse by parasites. 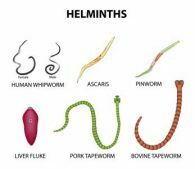 A holistic doctor can help you identify parasites and resolve your issues.